1. Varied, Alter, Change, Vary : بدل دینا : (verb) become different in some particular way, without permanently losing one's or its former characteristics or essence. Alternate, Jump - go back and forth; swing back and forth between two states or conditions. 2. Varied, Depart, Deviate, Diverge, Vary : گمراہ ہونا : (verb) be at variance with; be out of line with. Aberrate - diverge or deviate from the straight path; produce aberration. 3. Varied, Wide-Ranging : مختلف - اختلافی : widely different. Varied motives prompt people to join a political party. Varied ethnic traditions of the immigrants. Diversified - having variety of character or form or components; or having increased variety. Variance, Variation : تبدیلی : an activity that varies from a norm or standard. "Any variation in his routine was immediately reported"
How this page explains Varied ? It helps you understand the word Varied with comprehensive detail, no other web page in our knowledge can explain Varied better than this page. 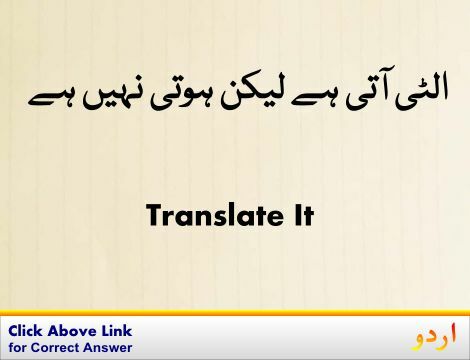 The page not only provides Urdu meaning of Varied but also gives extensive definition in English language. The definition of Varied is followed by practically usable example sentences which allow you to construct you own sentences based on it. You can also find multiple synonyms or similar words on the right of Varied. All of this may seem less if you are unable to learn exact pronunciation of Varied, so we have embedded mp3 recording of native Englishman, simply click on speaker icon and listen how English speaking people pronounce Varied. We hope this page has helped you understand Varied in detail, if you find any mistake on this page, please keep in mind that no human being can be perfect.